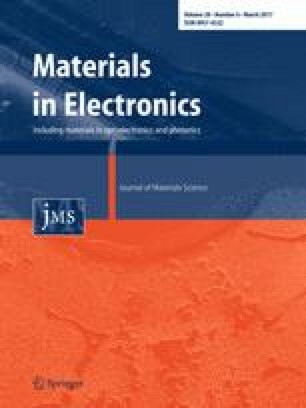 In this work we have investigated changes in dielectric properties, electrical conductivity and complex impedance of Fe2TiO5 nanopowder compacts and bulk samples as a function of elevated temperature (room to 423 K compacts, to 443 K bulk samples), frequency (100 Hz–1 MHz) and composition (starting molar ratio of Fe2O3 and TiO2 1:1—PSB11 and 1:1.5—PSB115). XRD, SEM and TEM analysis of PSB11 and PSB115 powders obtained by a simple solid state process from starting hematite and anatase nanopowders confirmed the formation of nanostructured orthorhombic pseudobrookite with small amounts of excess hematite and rutile. The dielectric constant decreased with frequency and temperature for both compacts and bulk samples. Higher values were determined for bulk samples also reflecting the influence of sample composition. Change in the dielectric loss also reflected the influence of sample composition showing one maximum at high frequencies for compacts, and two maxima at room temperature for bulk samples. Complex impedance was analyzed using equivalent circuits and showed in the case of compacts the influence of both grain and grain boundary components, while in the case of bulk samples the dominant influence of grain boundaries. The temperature dependence of the determined grain and grain boundary resistance for compacts and grain boundary resistance for bulk samples was analyzed using the adiabatic small polaron hopping model enabling determination of activation energies for conduction, while the temperature dependence of relaxation times enabled determination of activation energies for relaxation. Changes in electrical conductivity for compacts and bulk samples followed Jonscher’s power law. The change of the determined frequency constant with temperature showed that at elevated temperatures the quantum mechanical-tunneling model for the case of small polaron hopping explains the conduction mechanism occurring in both compacts and bulk samples. The authors would like to express their gratitude to Dr. M. Mitric for XRD measurements and Dr. N. Labus for help with TEM sample preparation. This work was performed as part of projects III45007 and III45014 financed by the Ministry for Education, Science and Technological Development of the Republic of Serbia.